Messages delivered by Ravens has been monumental and a key component to how the 7 kingdoms communicate. 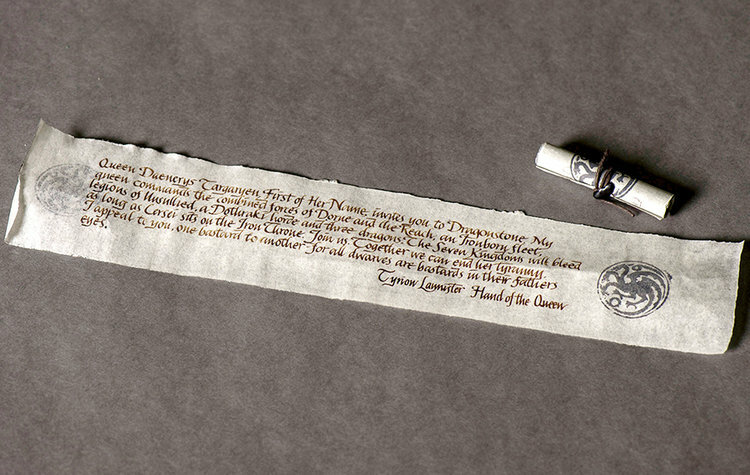 This is even strengthened as a letter from Tyrion and Sam to summon or have Jon go explore Dragonstone. 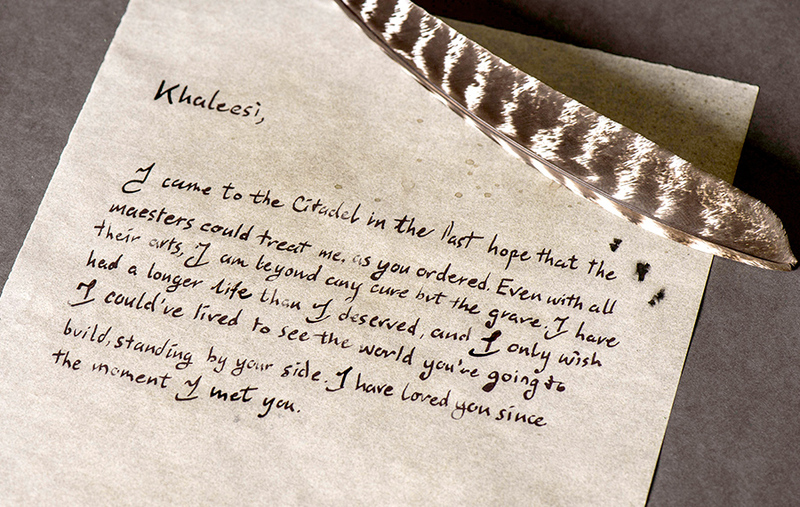 With that, here are some of the letters in great detail if you missed them on screen! Poor Jorah, cast away from Danny to find a cure for Greyscale. It's true he conspired with Robert to kill her, but he fell in love with the Mother of Dragons instead. The key line is at the end of the note. "for all dwarves are bastards in their father's eyes" Pretty neat prop! Sam's findings at the Citadel. The discovery of Dragon Glass, it sits below Dragonstone. Go figure! 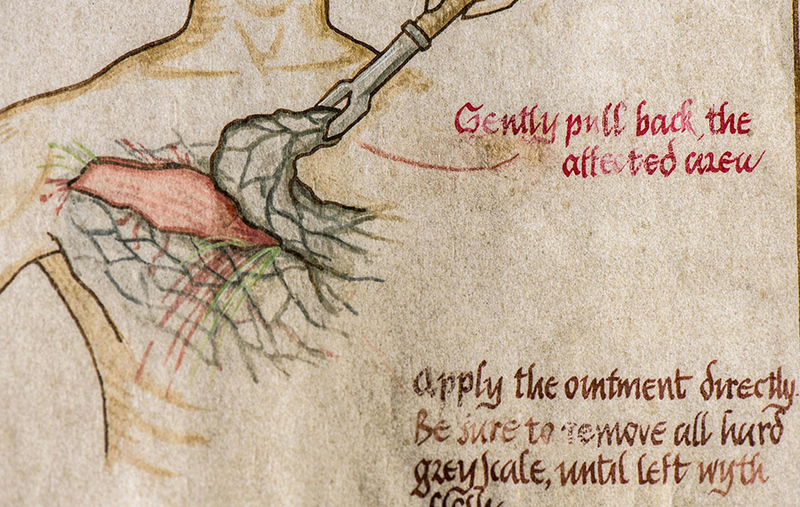 not quite the letter, but a possible cure for greyscale? 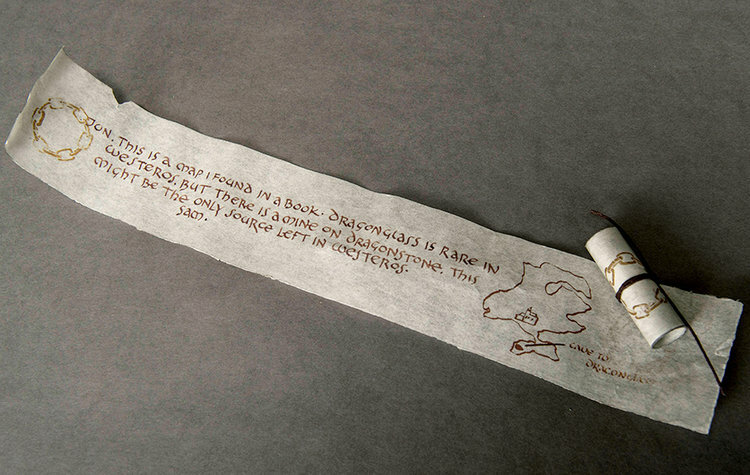 You can find more images from the pages of the books at the Citadel and everything else from the making of GOT from HBO!